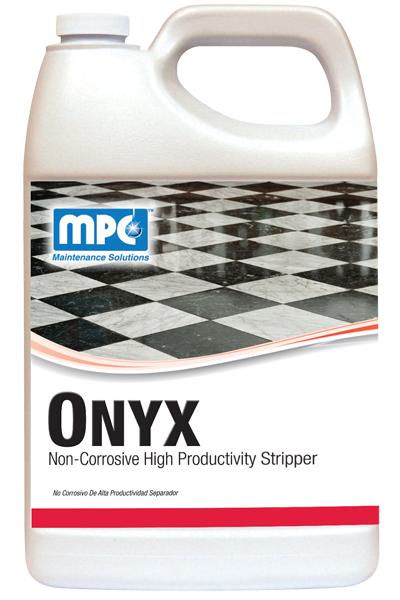 A non-corrosive floor finish stripper that rapidly penetrates and makes a floor finish more soluble. 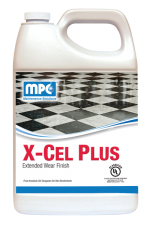 Powerful solvents combined with penetrating organic compounds dissolve the finish on contact, reducing the waiting periods for removal of the finish. 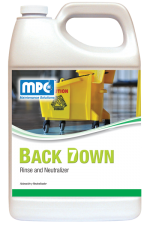 This product completely evaporates from the surface and requires little, if any scrubbing. 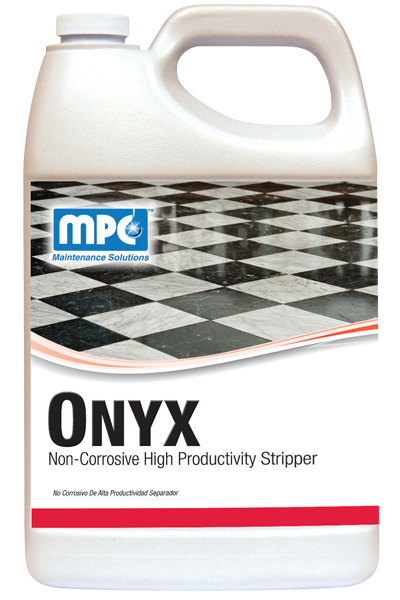 Its non-corrosive formula has a lower pH than traditional strippers and does not require a neutralizer after stripping. Sweep or dust mop the floor to remove any debris. Dilute stripper 1:4 – 1:10 with cold or mildly warm water. Apply the stripping solution liberally using a mop or automatic scrubber. Allow to stand for at least 3 – 5 minutes. Do not allow the stripper solution to dry. Be sure to completely cover floor to baseboards. Scrub with a rotary floor machine or automatic scrubber equipped with stripping pads. Pick-up the solution and old finish with a wet vacuum, automatic scrubber, or clean mop. Rinse thoroughly with clean cold water. The optimum use-dilution will depend on the age and buildup of the floor finish.